Inspirations has won its first award from the prestigious Preditors and Editors! Check out the "My Biography" link. Some of you have asked me pretty much the same questions about my writing history, and so I have obliged with some personal as well as professional information! Happy Holidays, Merry Christmas, and a very sincere Happy Chanukah to Inspirations visitors! This month, we've got a wide selection of stories. There are no articles this month; only short stories! I'm thrilled to announce that I have the honor of publishing Inspirations first outside submission--that is, not written by myself! You are in for a very special treat as you read Gaius, a unique and incredible 2,000 year old tale. I've created a couple of special links following this introduction. I hope you enjoy each and every story in this special holiday issue. Please continue to spread the word about Inspirations! Visit me at The Author's Den! Click on the link below to read my spoof on "reality" programming through a fictional television channel called "The Coyote Network". I wrote the entire 50,000 word novel in 27 DAYS as part of a contest/challenge. This just in . 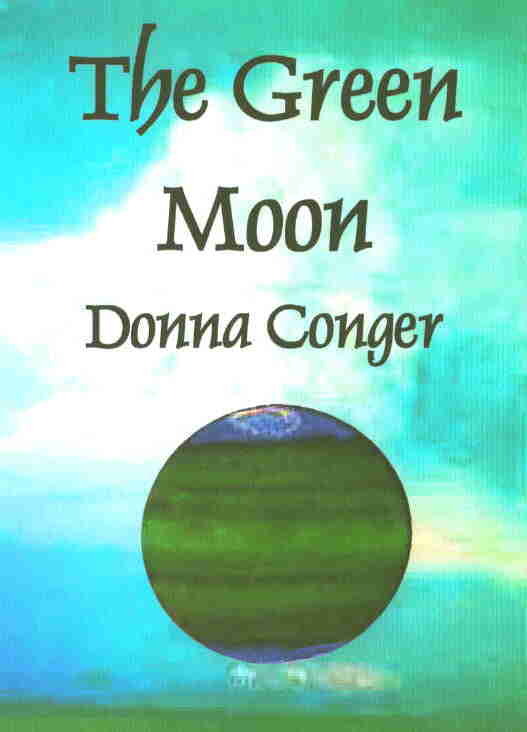 . . my new novel, The Green Moon, is available for order at a special pre-release price! Please remember. . . do not re-print without permission of author. Thanks!